LRPLND was initially described in 1992 . Since then there have been more than 100 publications on the topic. It is well established that the operation is technically feasible and morbidity may be further minimized as advances in the procedure continue. Transperitoneal [12-15] and extraperitoneal/retroperitoneoscopic [16-19] techniques have been described in detail elsewhere. However, regardless of the approach, once the retroperitoneal anatomical landmarks are exposed the dissection proceeds according to the templates established by Weissbach and Boede-feld . Several groups have attempted to modify the originally described LRPLND technique in hope of further minimizing morbidity. One such technique uses radio-guided sentinel lymph node mapping to minimize the number of nodes removed and thus operative time and risk of lymphocele . However, with a median follow-up of 19.5 months, 2 of 22 patients had recurrence in the retroperitoneum. Although this technique may allow shorter operative times and with higher yield, issues regarding its sensitivity need be resolved before further application. 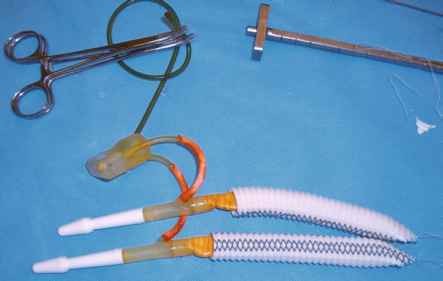 Other adjuncts used to facilitate the operation include insertion of an infrared ureteral stent to aid in identifying the ureter as the lateral border of dissection , use of hand-assisted techniques , dissection using a waterjet applicator to minimize trauma to neurovascular structures , use of robotic-assistance , and electrostimulation of the lumbar sympathetic nerves to improve nerve sparing [26,27]. These innovations have been applied in small series and have yet to amass enough evidence to warrant their recommendation during LRPLND; however, it should be recognized that the LRPLND is undergoing a constant evolution, with each modification attempting to make the procedure more feasible with less morbidity.